Children are thetans occupying small bodies, a crucial datum that provides the only perspective from which they can be understood. Having established the true data about what childhood is, L. Ron Hubbard provides a complete technology both for living with and auditing children. And beyond all of this, the conclusion of this lecture is itself historic: the famous naming ceremony in which newborns are properly introduced to their new life—a ceremony conducted personally by Mr. Hubbard. 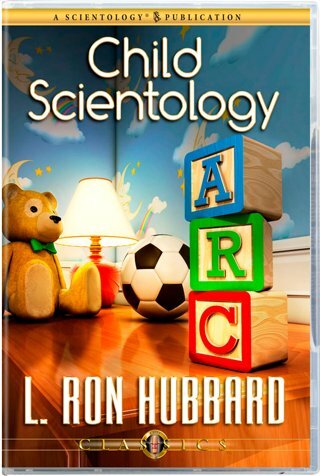 In this classic statement on the application of Scientology basics to children, L. Ron Hubbard orients all Scientologists—both as parents and auditors—to the universe of a child. Contrary to some theories, children are not a “special category” of human being nor do they represent the “native state” of Man. Children are thetans occupying small bodies, a crucial datum that provides the only perspective from which they can be understood. Having established the true data about what childhood is, Mr. Hubbard provides a complete technology both for living with and auditing children. Given they may not be able to verbalize their subjective experiences, he specifies the type of processes to use and how they are to be applied. Moreover, he reveals the crucial breakthrough that underlies the successful auditing of children and which is vital to the conduct of every session. And beyond all of that, the conclusion of this lecture is in itself historic: the famous naming ceremony in which newborns are properly and appropriately introduced to their new life—a ceremony conducted personally by Mr. Hubbard.